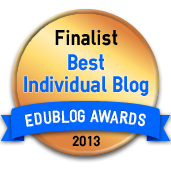 So today I am thrilled and humbled to discover this blog among those named as finalists for the 1oth annual Edublog Awards. 1. Click the up-vote arrow bottom-left of the post. A pop-up from List.ly (the voting tool) will appear. 2. Sign in to List.ly with your Twitter, LinkedIn,Facebook, or Google + account. 2*. You’ll need to provide your name and email if this is your first time using List.ly. 3. The window will disappear. 4. 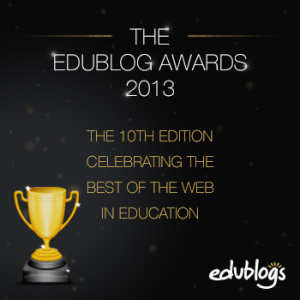 Click on the up-vote arrow one more time to cast your vote.